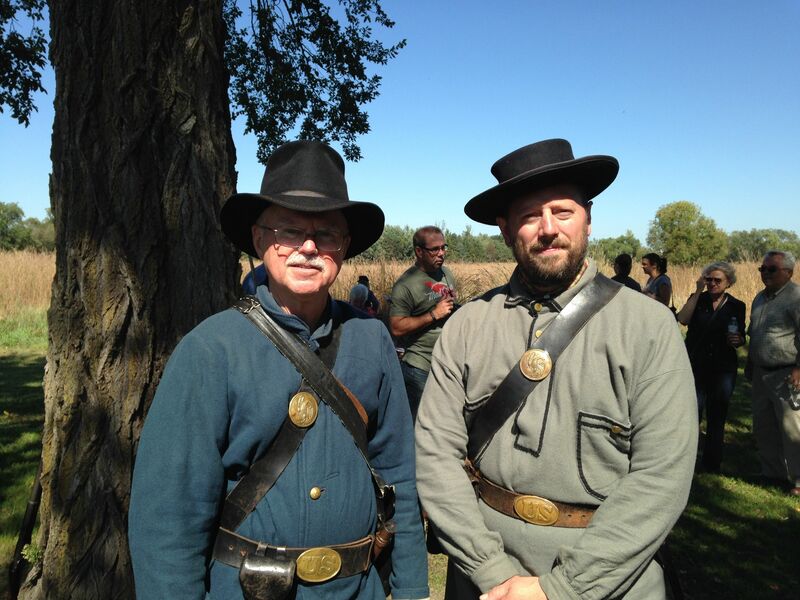 The Blue and the Gray united once again at the annual Homestead Day Harvest Festival, which was held last Saturday at the Beaver Creek Nature Area near Sioux Falls, South Dakota. 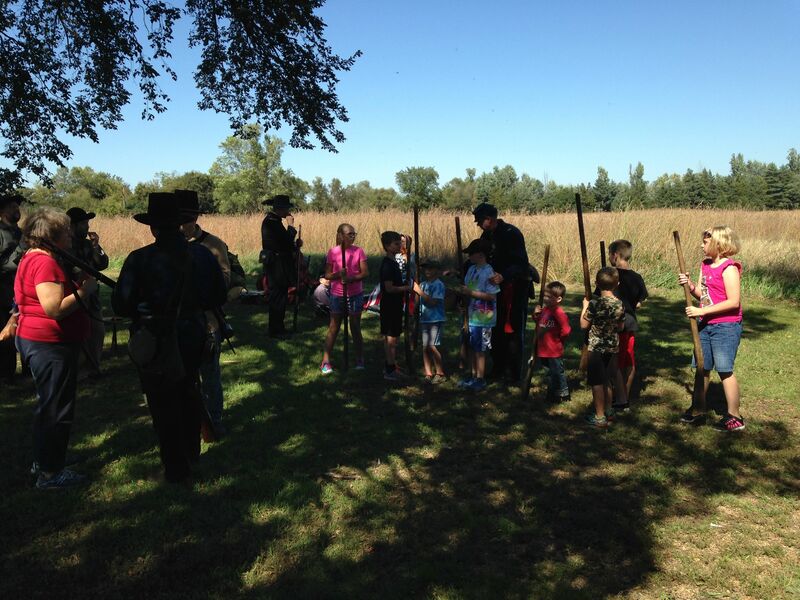 Union and Confederate soldiers were on hand to demonstrate living history, reenact camp life, and teach new recruits the art of handling rifles. The event is held every year and attracts thousands. Besides Civil War reenactors, gunslingers were there to show spectators how to effectively draw a pistol in a gunfight. 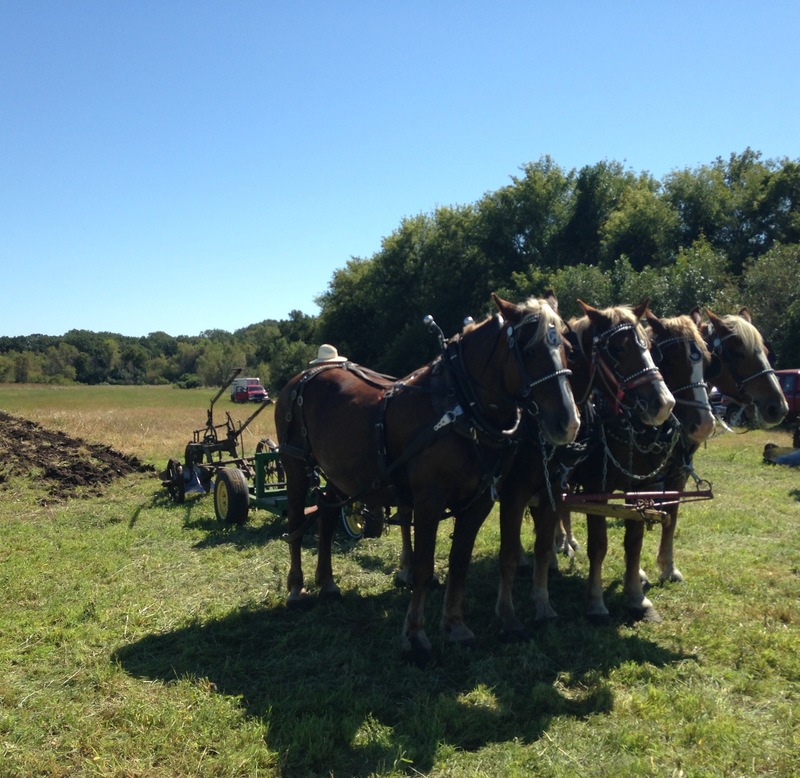 There were also displays of pioneer life, including candle making, chair caning, blacksmithing, butter churning, panning for gold, wagon rides, wood carving, rope making, spinning, weaving, shucking corn, and hoeing a field with the use of horse-drawn plows. Music was provided by SD Old Time Fiddlers. There was even a snake oil salesman! 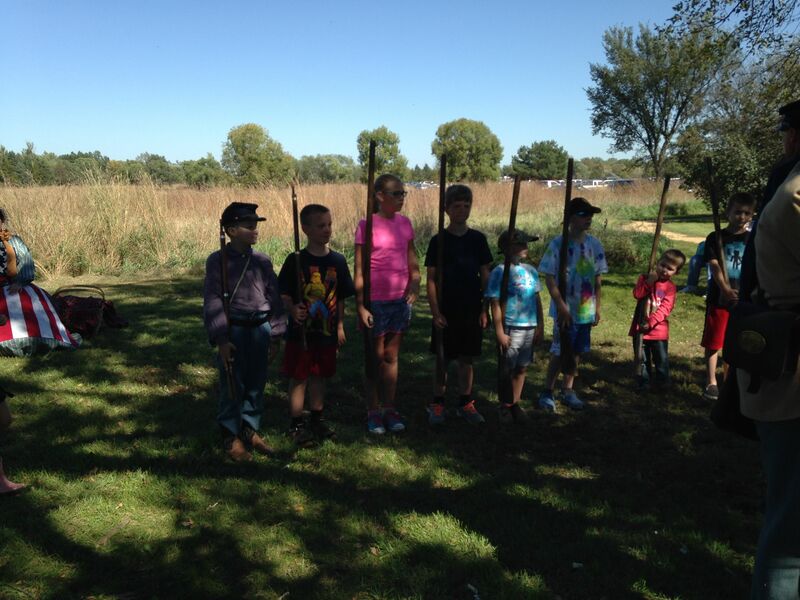 Little Rebels and Yankees had fun aiming and firing their weapons, and the soldiers had fun teasing them by firing black powder and making the kids jump! Although not many reenactors were there, it was still a fun-filled, educational event.